Bob Goodearl – Among his many contributions, Bob built the Code Camp web site using Windows Azure – and will come to Boston Azure on Thursday November 15 to tell us about his experience in doing so. I am particularly intrigued by the ApprendaCloud.com (“Built for Devs” and “Free to use”) from sponsor . .. Apprenda offers a private cloud PaaS solution focused on .NET applications. Just because we get an application to run on cloud infrastructure does ensure that it runs well. To truly take advantage of the cloud we need to build cloud-native applications. The architecture of a cloud-native application is different than the architecture of a traditional application. A cloud-native application is architected for cost-efficiency, availability, and scalability. We will examine several key architecture patterns that help unlock cloud-native benefits, spanning computation, database, and resource-focused patterns. By the end of the talk you should appreciate how cloud architecture is more demanding than you might be accustomed to in some areas, but with high payoff such as handling failure without downtime, scaling arbitrarily, and allowing aggressive cost-optimization. If you do read the book and find it of value, I’d very much appreciate you considering a short review on Amazon, O’Reilly, or Barnes & Noble. Got Azure or Cloud questions? Feedback on the book? Just want to stay in touch? Please feel free to reach out. I can also be reached via email (which is same as my twitter handle at gmail). 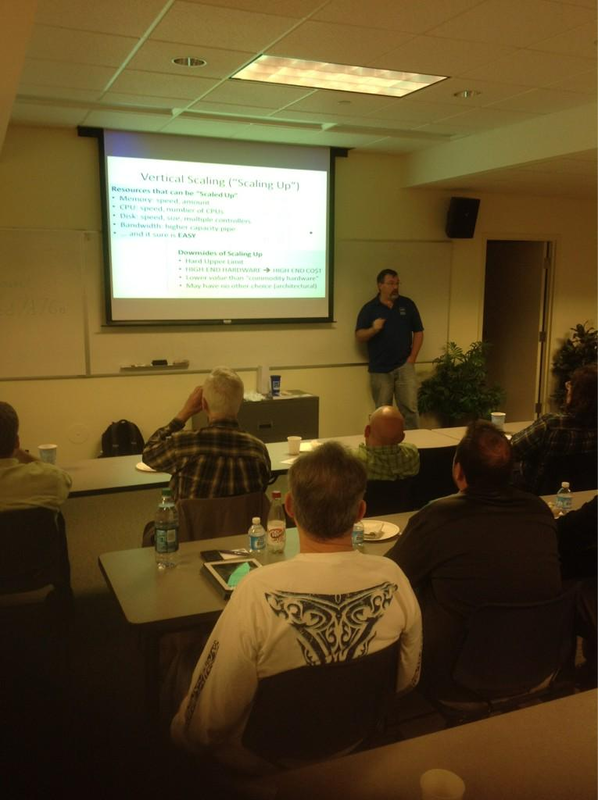 This entry was posted in Azure, Bill gave a talk, Cloud Computing, Events, Patterns on October 20, 2012 by Bill Wilder.